Delilah Metcalfe, the owner of The Dales Dating Agency, is besieged by financial concerns, struggling to keep two businesses afloat and a roof over her head. She has no choice, but to accept Samson O’Brien as a new tenant for her office space. Dismissed from the police force and facing criminal prosecution, Samson has returned to his home town to set up a detective agency while he fights to clear his name. But when Samson gets his first case, investigating the supposed suicide of a local man, things take an unexpected turn. Soon he is discovering a trail of deaths that lead back to the door of Delilah’s Dales Dating Agency. With suspicion hanging over someone they both care for, the two feuding neighbors soon realize that they need to work together to solve the mystery of the dating deaths. For Samson and Delilah, however, working together is easier said than done. Date with Death by Julia Chapman is a 2017 Minotaur publication. I think the characters enjoyed some nice dialogue, had a bit of chemistry between them, and worked pretty well as a team once they got past some initial awkwardness. The secondary characters are all essential to the story and provide comic relief as well as deeper character analysis. This charming, cozy series definitely has potential and a lot of wiggle room for growth and development. I am on board for the next installment and will be very interested in what adventures Sampson and Delilah will embark on next. Julia Chapman has led a nomadic existence, spending most of her adult life abroad. Having published a series of novels set in the idyllic French Pyrenees, she has now turned her hand to crime. 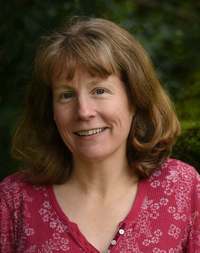 Currently writing the Dales Detective Series, she lives and writes in the stunning Yorkshire Dales where her books are set. 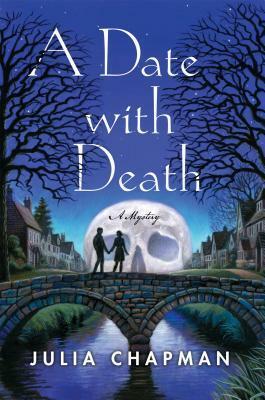 The first in the series, Date with Death, makes its debut in March 2017.